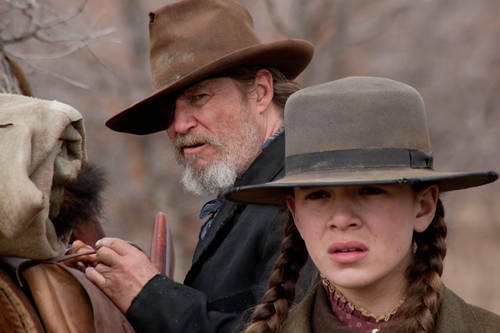 Here’s the weird thing about True Grit, the Coen brothers’ remake/reimagining of the classic Western tale: About an hour after seeing it, I couldn’t remember much about it. The film just didn’t stay with me. And it’s not that I didn’t like it or anything. It just didn’t have any lasting impact on me. And that’s a shame, because I love the Coen brothers (Fargo remains one of my all-time favorite movies, and last year’s A Serious Man ranked number three on my list of favorite movies), and I’d had high hopes for True Grit. Oh well. In the film, young Mattie Ross (Hailee Steinfeld) hires U.S. Marshal Reuben J. “Rooster” Cogburn (Jeff Bridges, in the role that won John Wayne an Oscar) to help her find Tom Chaney (Josh Brolin), the man who killed her father. Also on Cheney’s trail is Texas Ranger La Boeuf (Matt Damon). Bridges speaks in such a heavy drawl that after a while it’s really off-putting. Damon does his best to keep up with Bridges, but he’s just not a strong enough presence. That leaves Steinfeld, who at the age of 13, blows the other two guys away. She’s really the star of this movie, and the reason I’d give anyone to see it. It’s all the more remarkable when you realize this is her first movie. 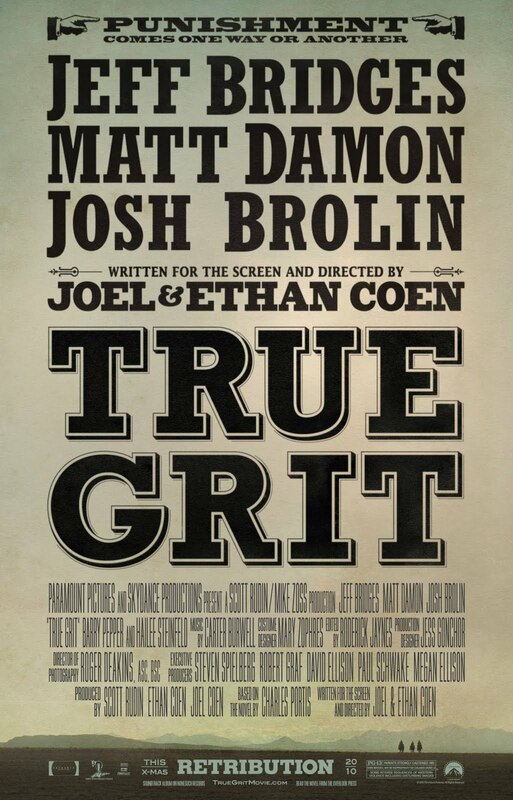 Anyway, I wish I had liked True Grit more than I did so I’d have remembered more about it. That’s why I’m only going to give it a B–.